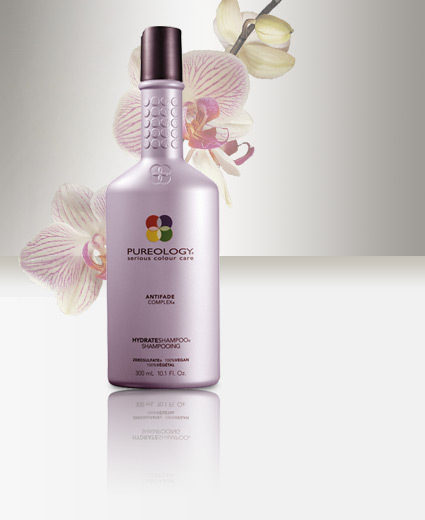 · Pure Volume Shampoo - This extra gentle cleanser offers extraordinary volume with brilliant colour vibrancy and serious colour protection. This ZeroSulfate®, non-colour stripping formula volumizes while adding moisture. · Hydrate Shampoo - Pamper your hair with this award-winning, moisturizing, super-concentrated shampoo. The extra gentle, non-colour stripping, ZeroSulfate®, salt-free formula enhances colour brilliance and maximizes colour retention. · SuperSmooth Shampoo (my favorite!) - Gently cleanse and smooth unruly hair without stripping away moisture, and intensify natural shine while protecting colour vibrancy with this concentrated ZeroSulfate® shampoo. · Essential Repair Shampoo - Renew strength and help repair and fortify against damage while protecting colour vibrancy with this concentrated and gently cleansing ZeroSulfate® shampoo. Go to http://pureology.com/discover/shampoo and claim your free gift now.